The award-winning series THE AVIATORS is back for a new season on Discovery Turbo. Following the adventures of a group of pilots and aviation experts discovering fascinating flight oriented stories, the new episodes will feature some of history’s most noted aerial combatants, from World War I ace “The Red Baron” to pilots in more recent air battles. 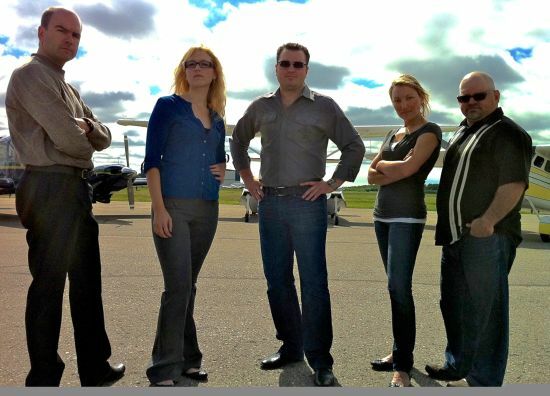 The new season of The Aviators will premiere on March 7 and will air Monday to Friday at 8 pm on Discovery Turbo. The Aviators is the most extensive aviation series on world television. The popular magazine show features regular segments with the U.S. Air Force Thunderbirds, an inside look at airline travel, a rock star’s flight training starring Mötley Crüe front man Vince Neil, and many more exciting aviation features. The series includes interesting people, the latest aircrafts, the coolest technology and the best fly-in destinations. It takes viewers behind the scenes to show how the airline pilots train, how planes are built, and how ATC works. From profiling aviation businesses to products, from safety tips for private and recreational pilots to career tips for professional pilots, THE AVIATORS is a must for everyone who has ever gazed skywards! It’s action, intensity, and adrenalin mixed with education, entertainment and beauty of aircrafts. The Aviators is also an incredible international hit already airing in over 100 countries mainly on Discovery Channel / Discovery Turbo. The series takes a look inside the efficient and luxurious plane Boeing 787 Dreamliner. Host Wayne Boggs introduces viewers to the historic P-19 trainer aircraft. Get behind the scenes look at the U.S. Air Force air demonstration squadron USAF Thunderbirds and their F-16s. Find about Fifi, the infamous B-29 bomber from WWII through the different crew positions of this historic aircraft. The series also profiles T-28, the U.S. Air Force and Navy training aircraft that also was flown during the Vietnam War.